A good credit score is essential when trying to gain access to needed financial resources. 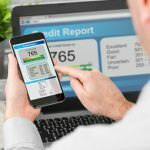 If you have a limited financial history or are looking to boost a poor credit score, it may be difficult to access resources that are going to help your score improve, such as loans or credit cards. However, there are several options available through your credit union to establish or build up your credit score. Working with a counselor at a credit union can help you better understand your credit rating and how to improve it. 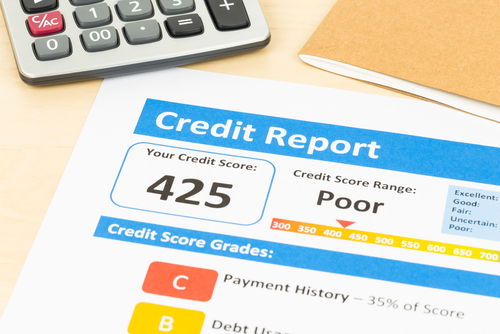 This counseling, which is often free for credit union members, helps illuminate the root of your credit problems, suggests ways to raise your score and provides access to resources to manage your credit and finances in the future. A credit builder loan is a small loan made to you by your credit union to help establish or improve your credit profile. When the credit union issues the loan, rather than disbursing the funds, a special interest-bearing account is set up. The loan amount, which can be up to $2,000, is “paid-off” by making regular payments toward the loan total into the account. After the loan payments are completed, you have access to the money accrued in the account. Your on-time payments and completion of the loan are then reported to credit bureaus, which reflects positively on your credit score. In addition to helping boost your credit score, a credit builder loan is a great option for members who are interested in saving money, but don’t want the temptation of using the money that was set aside. FSU Credit Union’s Credit Re-Builder Loan Program was developed to allow members with a colorful credit history to access credit and demonstrate their ability to repay, thereby rebuilding a positive credit rating. The program is available to those members who have demonstrated loyalty to our organization and their employer. In order to receive this loan, applicants must have been FSUCU members for three or more years AND employed with their present employers for three or more years. Learn more. A secured credit card is a solution for members who have had trouble getting approved for unsecured credit cards in the past. Unlike unsecured credit cards, these accounts require members to pay a deposit to open the card. In most cases, that deposit amount is your card’s credit limit. Secured credit cards can help members establish a history of responsible credit card use, and because of the required deposit, institutions are more willing to approve users who have poor or little credit. After the initial deposit is made, you continue to use the credit card as you would any other—by making purchases with the card and making monthly payments toward the balance. Most major credit reporting agencies don’t include on-time rent payment data in their reports, which can be a setback when you’re first starting out and trying to build a credit history. To make sure your rent payments are tracked, recorded and reflected in your credit report, ask your landlord or rental management company if your payments are reported to Experian RentBureau, the only major credit reporting agency to include rental payment data. If not, you can set up an account online with a rent payment service that works with Experian RentBureau. These services will collect and disburse your rent each month and report the on-time payments for you. Some of these service providers may charge a small fee, but that fee is an invaluable investment in building your credit history. With most of the previously listed credit building tools, making on-time payments is still an important aspect of the credit building process. If missing or making late payments has reflected poorly on your credit history in the past, setting up an account with an online budget management service may help. In addition to helping you budget, manage and save your money, many of these services can issue alerts when you have an upcoming bill or payment due. Getting a reminder email or notification on your phone could make all the difference in helping you stay on-track and on-time. At first, rebuilding or building your credit may seem like an impossible task, but if you take advantage of these resources and maintain the essential partnership with your credit union, you will be well on your way to developing a healthy financial profile. For more information on your credit score and how to improve it, contact FSU Credit Union at 850-224-4960.